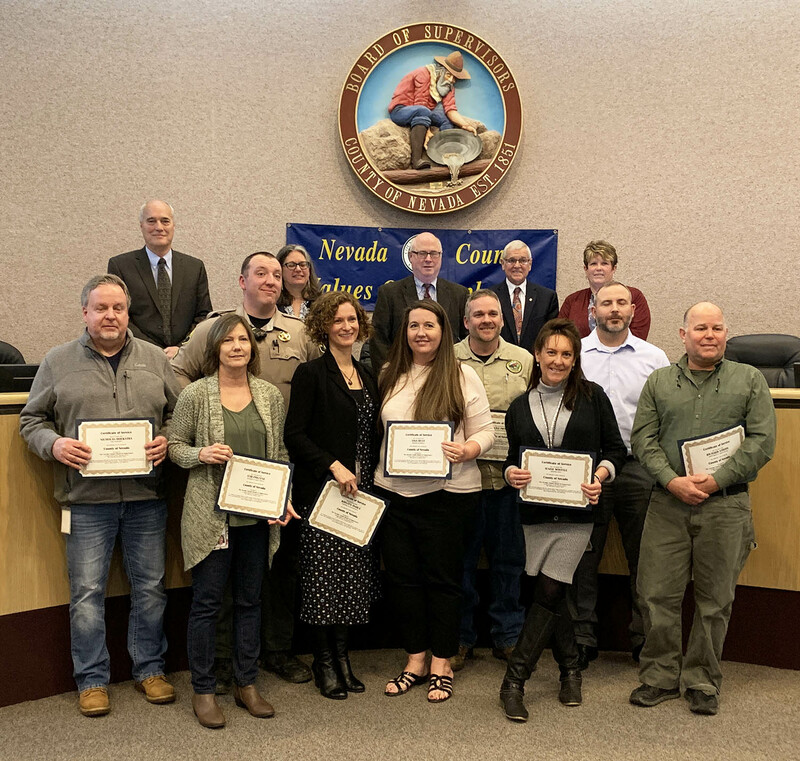 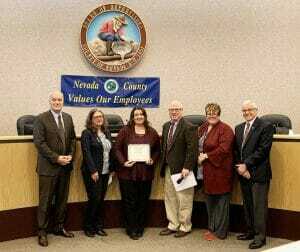 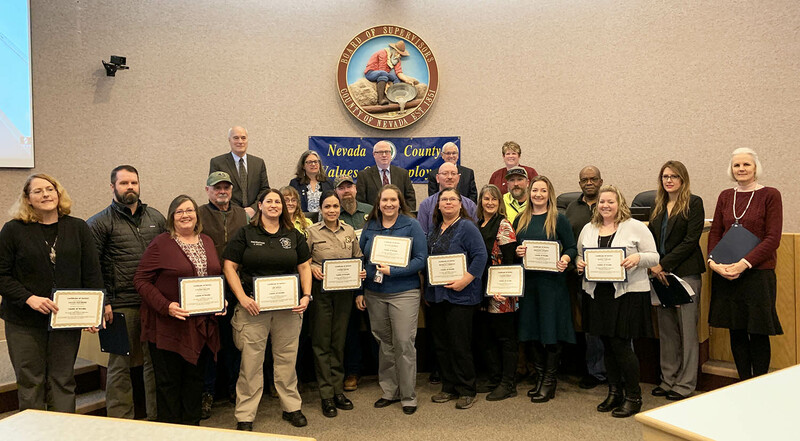 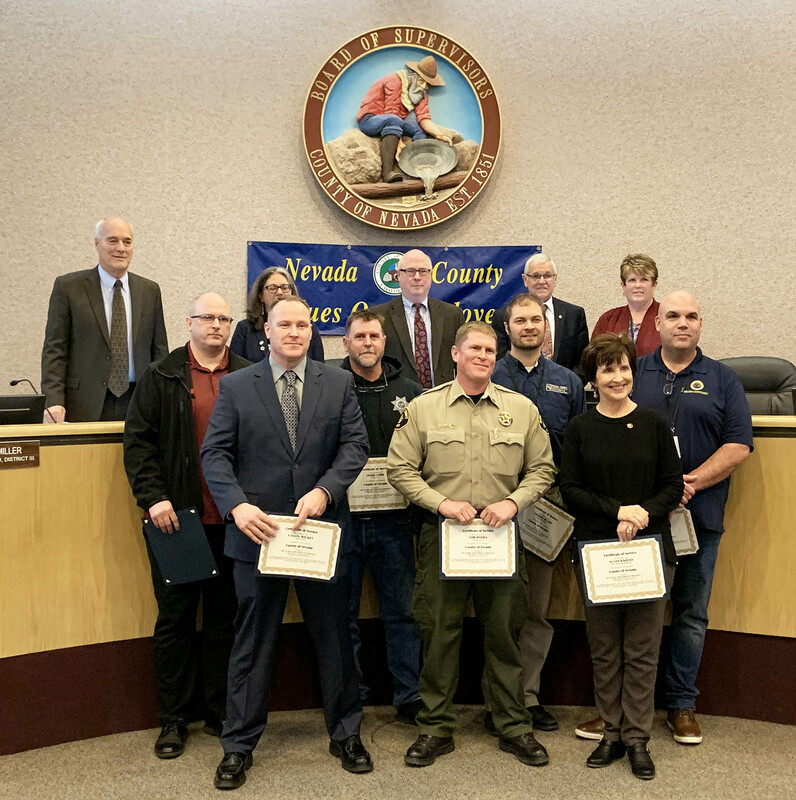 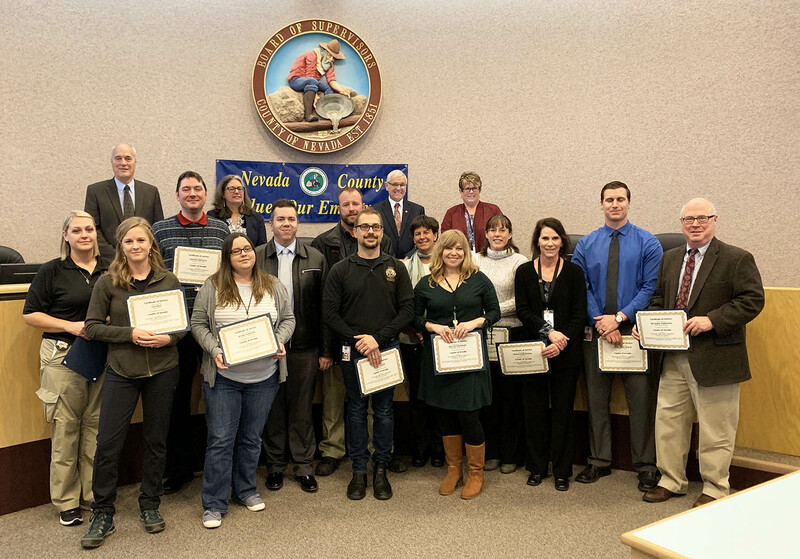 NEVADA CITY, Calif. January 22, 2019 – Nevada County Supervisors recognized long-serving employees during today’s BOS meeting. 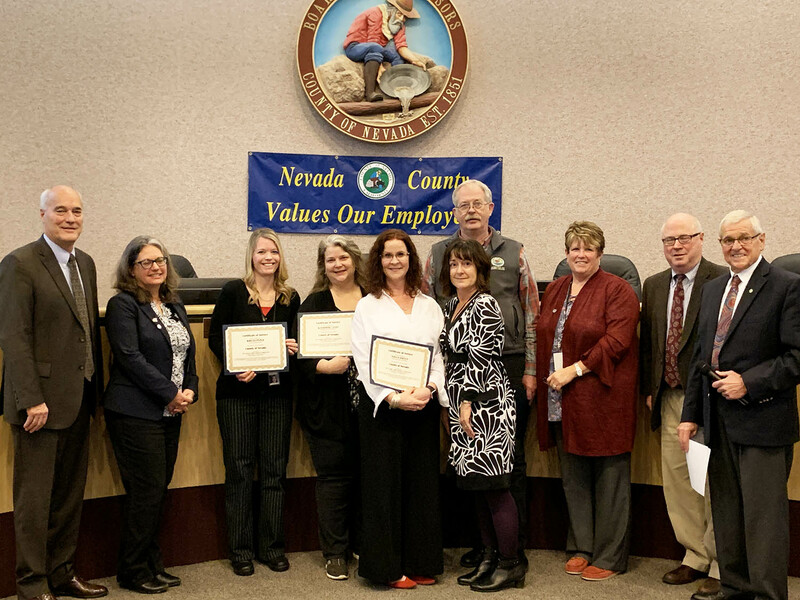 Collectively, the 93 employees recognized today have served Nevada County residents for 915 years. These three topped this year’s longevity list and were introduced by their respective department/agency heads. 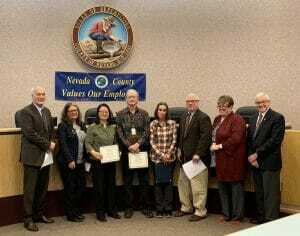 Kennard was the only one able to attend the ceremony, her co-honorees will receive their service pins and certificates soon. Editor’s note: To all, thank you for your service!